One of the traditions I’m glad we started was family game night. 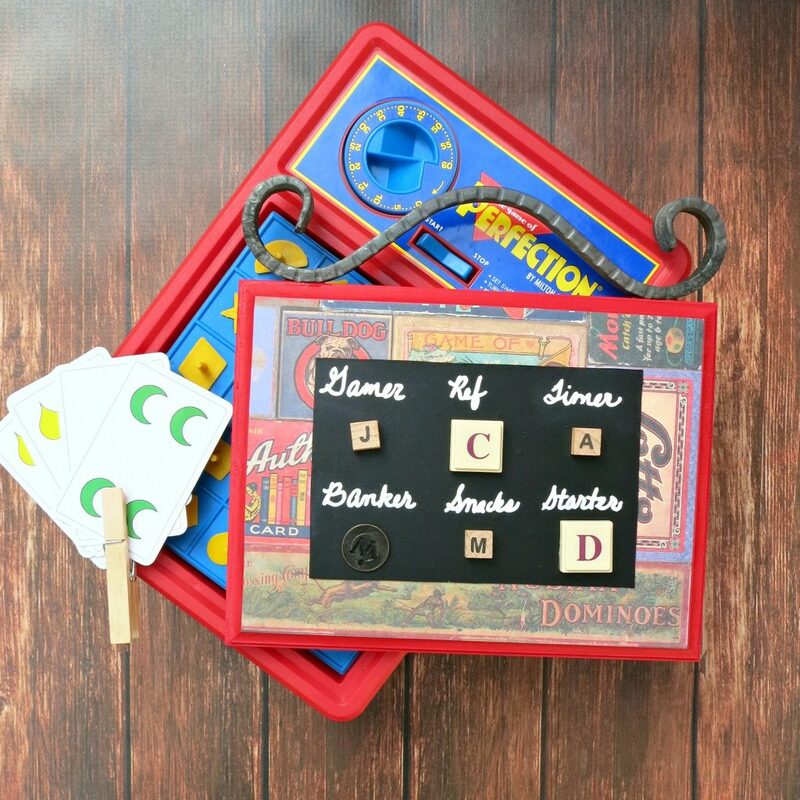 We huddle around a game board and laugh and have fun together as we play games, eat snacks, and enjoy a simple activity as a family. To make game night run a bit more smoothly (because there WILL be fights about who goes first, which game to play, etc.) I made a “job board” to keep bickering to a minimum and find a fair way to make sure everyone gets a turn to participate. 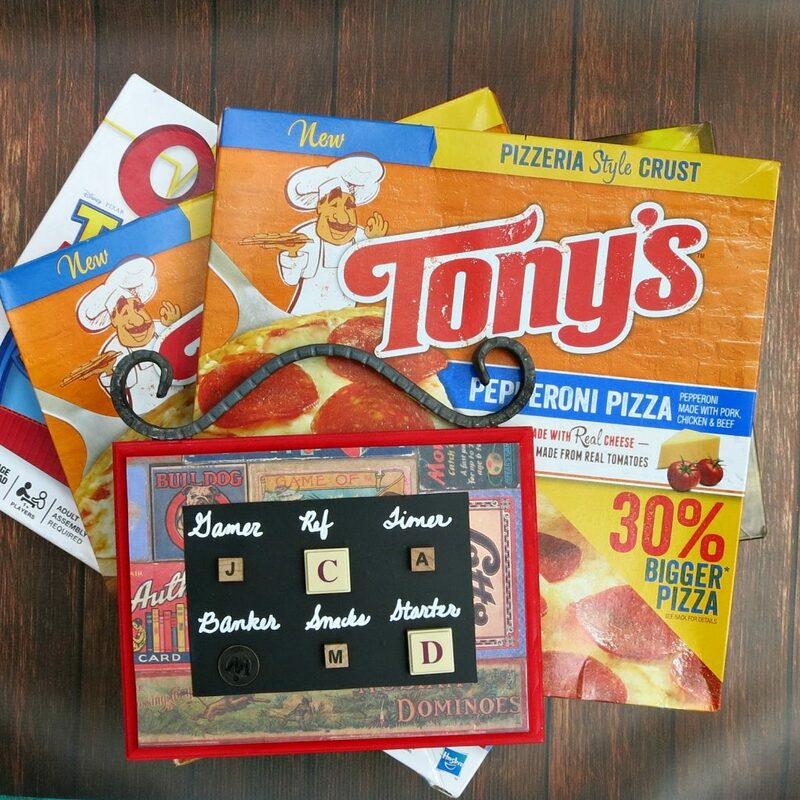 This game night job board is super simple to make, and it pairs perfectly with the ease and simplicity of serving TONY’S® Pizza. 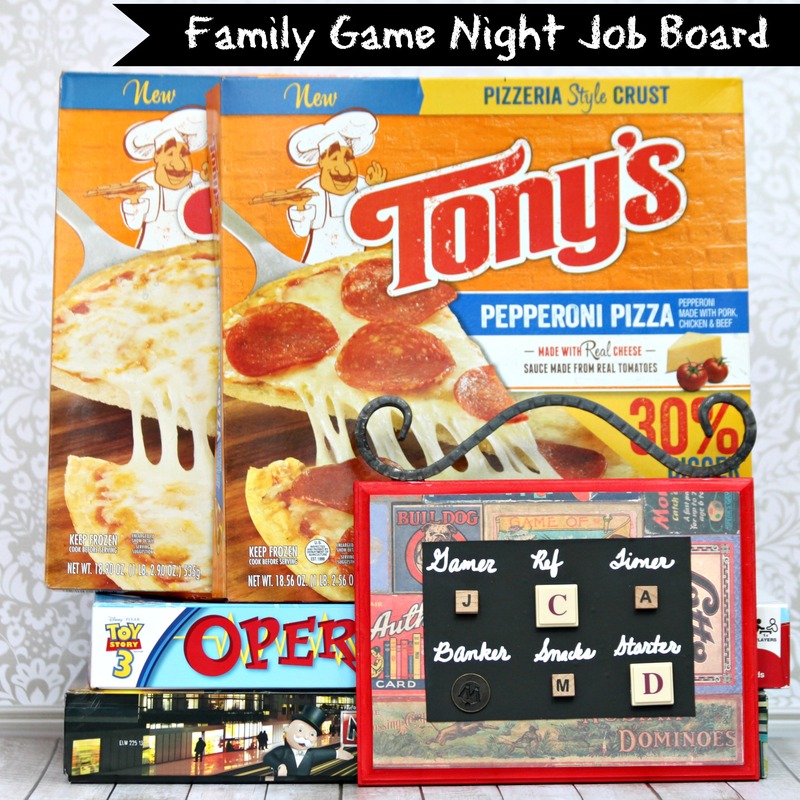 Make it a no fuss, game night to remember with Tony’s Pizza and a family game night job board. Step one: Paint the wood plaque. Once it has dried, Mod Podge scrapbook paper to the front. 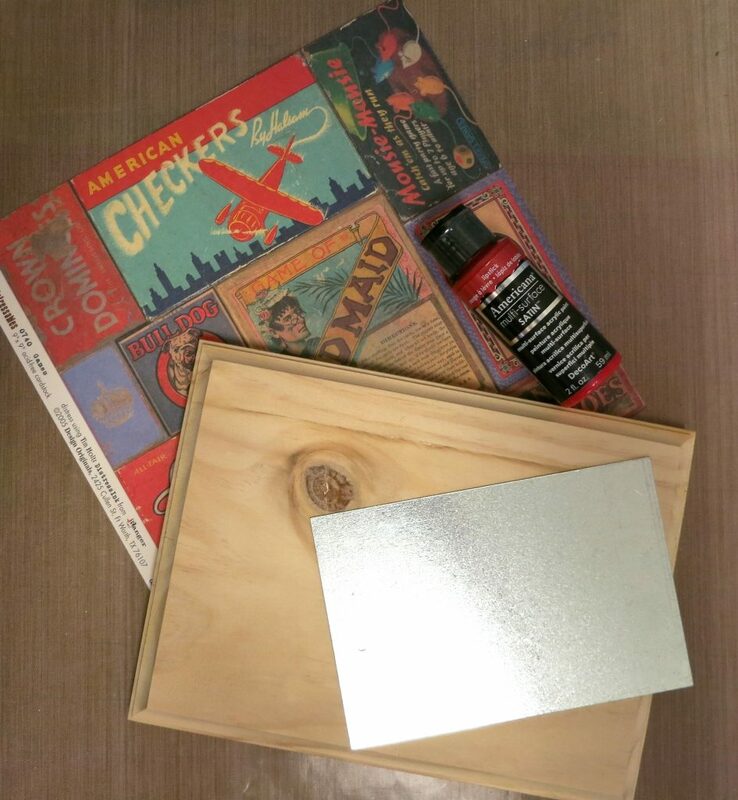 Step two: Cover the metal sheet with chalkboard vinyl and glue the sheet to the front of the wood plaque. Step three: Glue magnets to the backs of old game pieces and craft embellishments. I used the first letter of each member of my family’s names. 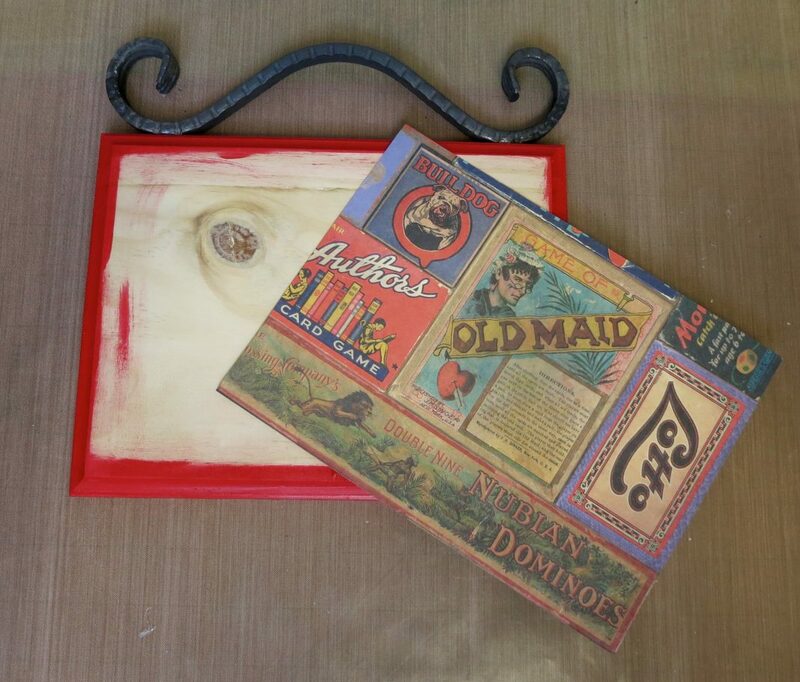 I used tiles from old games mixed with other items I had in my craft stash. Gamer: gets to choose which game we are playing. Ref: enforces the game rules and resolves disputes between players. Banker: this person handles the money if the game has it, otherwise this person gets to hand out cards, tokens, or whatever else the game uses. Starter: this player gets to go first! Snacks: This person gets to choose what snacks will be devoured during game night. I got to be the snack person for our latest game night, and I chose Tony’s Pizza. I grabbed two boxes at my local Walmart, and at $2.57 per box the price can’t be beat! Well, actually the price IS lower right now when you use this special coupon. You can save $.75 off any two Tony’s Pizza at Walmart, while supplies last. (Coupon valid till 6/30/15). Tony’s pizzeria style pizza, now 30% bigger, is made with real cheese and is the right size and price for feeding a hungry crew like mine. 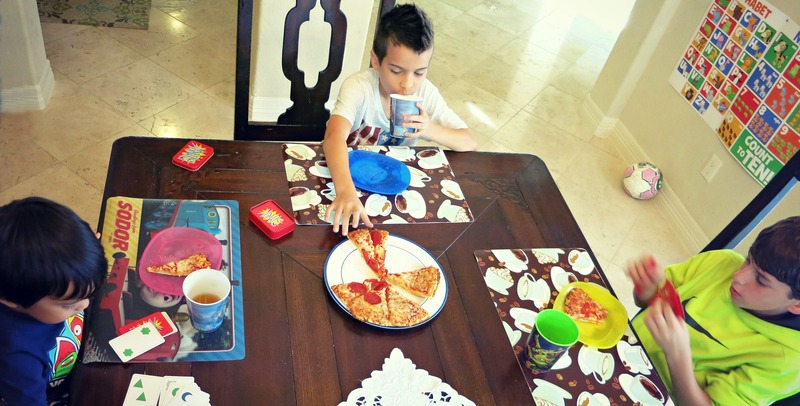 They scarfed down both pizzas while we had fun playing a card game during our recent game night. We’ve had quite a bit of rain and have been cooped up inside, so taking a break with pizza and a game was a welcome distraction from the gloomy weather. 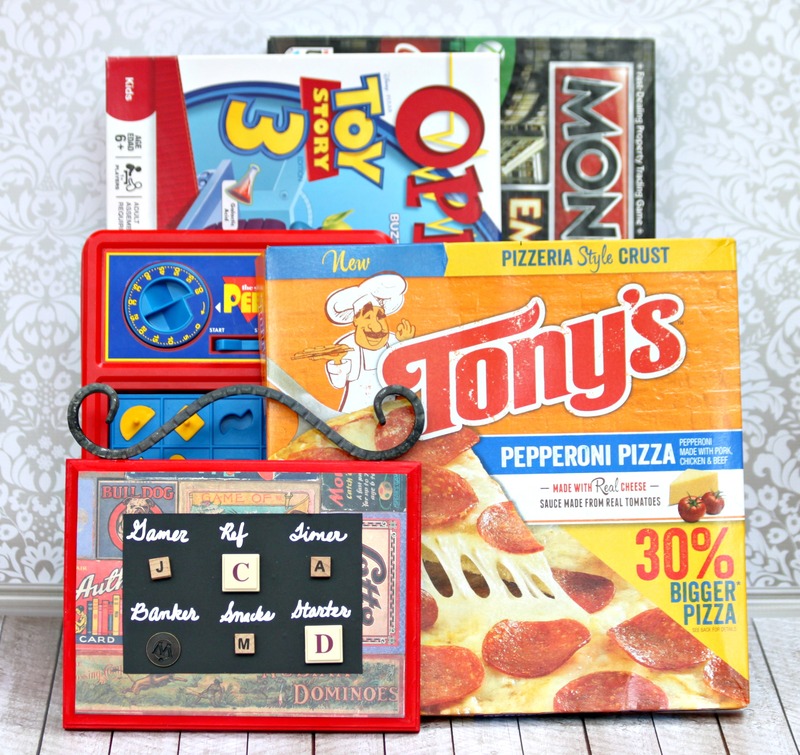 My kids love Tony’s Pizza, and I am betting that the next person who gets to choose snacks is going to pick Tony’s Pizza again. Which is fine by me!